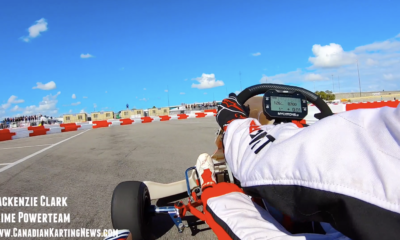 Mackenzie Clark Scores Race Win at SKUSA Winter Series in Florida – CKN | CanadianKartingNews.com | Because Karting is a way of Life! 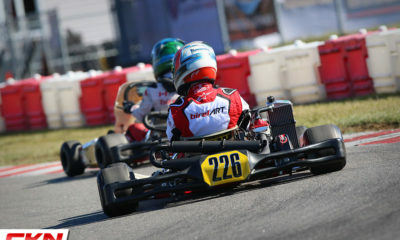 On Saturday during the penultimate round of the 2019 SKUSA Winter Series, Canadian Mackenzie Clark drove home his first international karting victory, winning in X30 Junior. 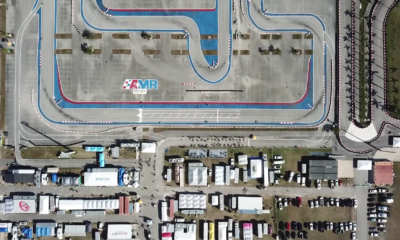 Taking to the AMR Homestead-Miami Motorplex in the reverse direction, Clark started the day off by qualifying in third place. 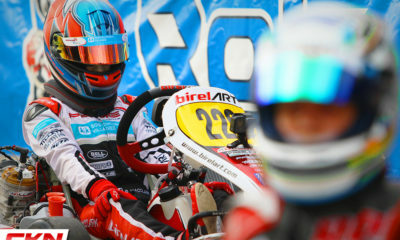 He matched that result in the Prefinal in a grid of 46 karts to ensure a starting spot on the inside row for the Final. Jumping up to second early on in the main event, Clark was in a heated battle for the first fifteen laps, slipping back to third before making his move to the lead on lap fifteen. Once out front, Clark pounded fast laps to pull away from his competition and after 25 laps, celebrated his victory. 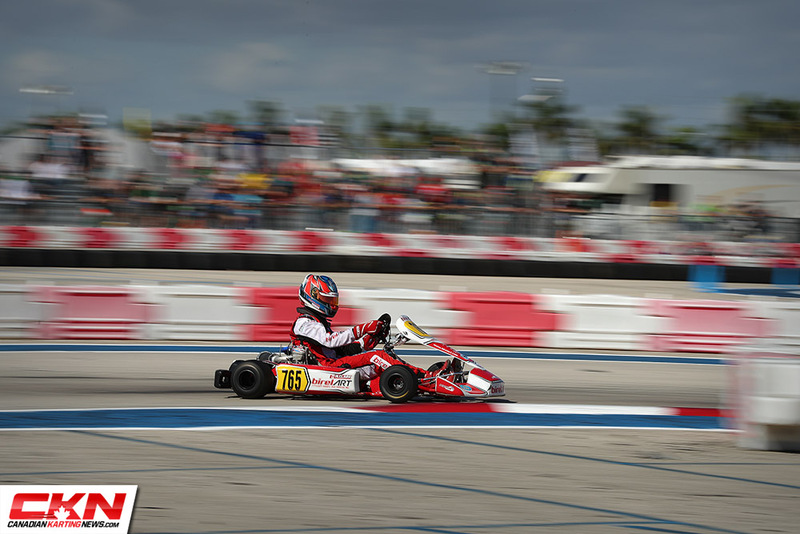 The Prime Powerteam BirelART driver jumped up in the championship standings but will need another victory on Sunday to have a chance at the SKUSA Winter Series title. Fellow Canadian Justin Arseneau, round two race winner, finished sixth in the Final and kept his championship hopes alive, but he took needs another victory on Sunday. 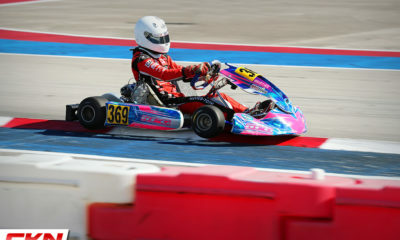 In X30 Senior, Patrick Woods-Toth delivered again, finishing on the podium in third place. While his RPG teammate Ryan Norberg has all but solidified the championship with his second victory, Woods-Toth is looking like he will be on the championship podium if he can put together another strong effort on Sunday. 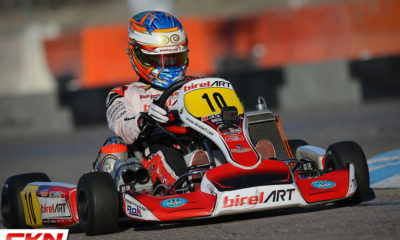 Also in the X30 Senior Saturday final, Cedrik Lupien finished eighth while his brother Samuel was fifteenth, two spots ahead of Thomas Nepveu. Eli Yanko drove home another win in Briggs 206 Masters as he looks to defend the championship he won a year ago in Florida. Another Canadian was on the podium in Masters Shifter as Dan Monteiro managed to finish second. 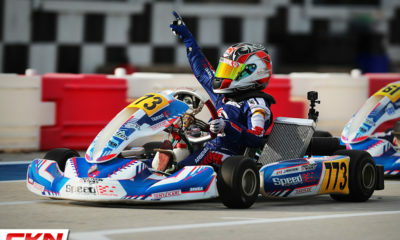 On Sunday in Homestead, SKUSA Winter Series champions will be crowned.